Ditch that thirsty lawn in favor of a beautiful, easy care, and drought tolerant yard. Xeriscaping, also known as drought resistant or drought tolerant landscaping, you can have the yard of your dreams while saving water in the process. A fancy term for low ­water and drought­ tolerant landscaping, xeriscaping is all about using plants that can withstand extremely dry (or drought) conditions. 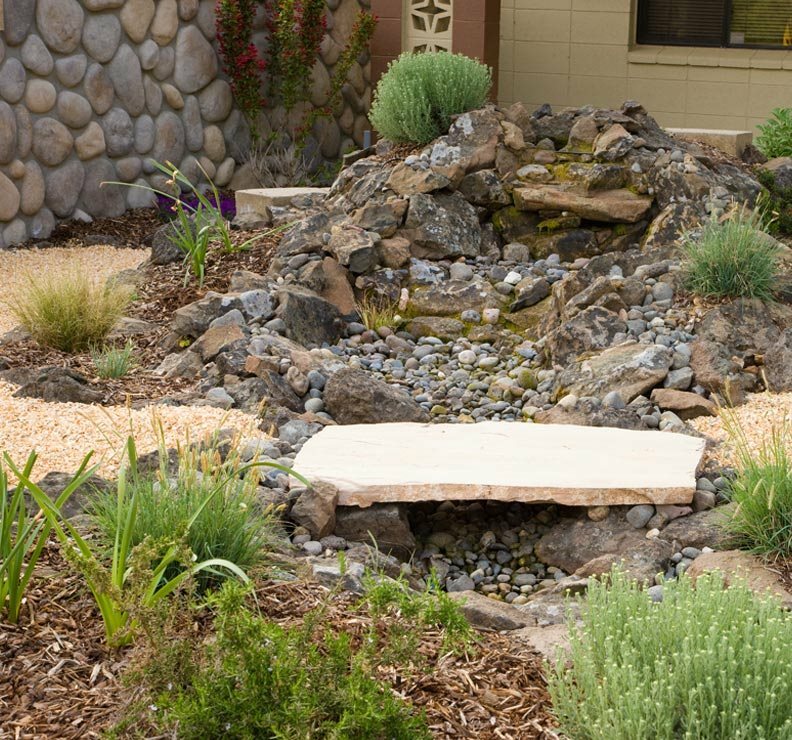 Even if you don’t live in the desert, a well­ planned xeriscape can save you a significant chunk of change and time when it comes to maintaining your garden. Your yard reflects who you are, so give the right impression with cascade gardens. Adding a Hardscape to your yard adds more living space and year-round enjoyment. Hardscape transforms your backyard and front yard into usable space. Hardscape choices line landscape curbing also help cement the design in a way that is easier on the eye, and better for creating a more aesthetically pleasing landscape. It’s a beautiful and great way to add some depth to your backyard. 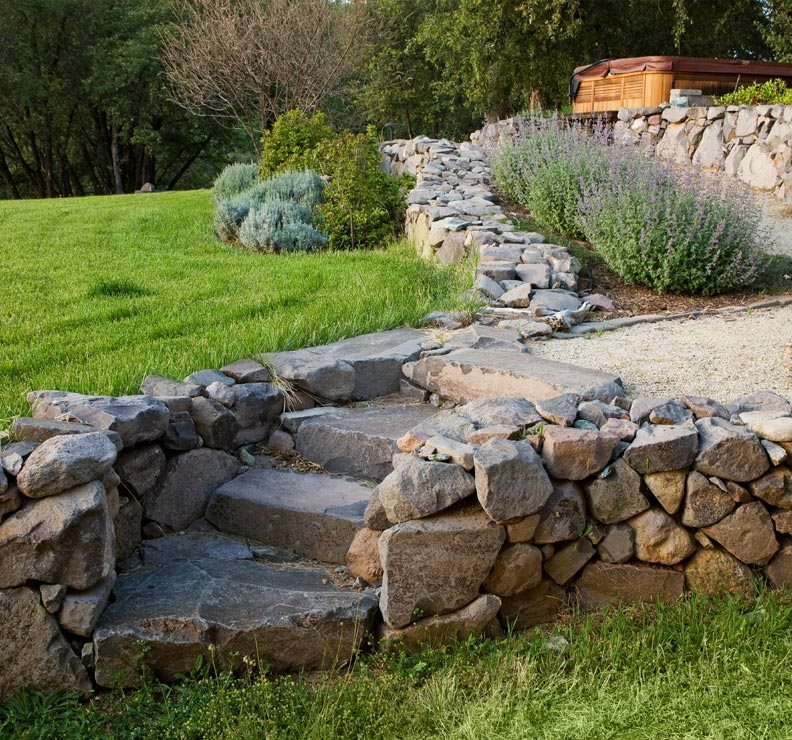 The right mix of natural elements and hardscaping can transform your front and backyard. Let Cascade Garden install hardscape features to enhance your landscape design. While most people picture custom landscapes as these green, amazing outdoor designs, the truth is that the placement of concrete and use of hardscape can have a pretty drastic effect on the look, quality, and functionality of your new landscape. In some ways the hard designs serve even more of a purpose than the “soft” designs (like flowers, grass, etc.) 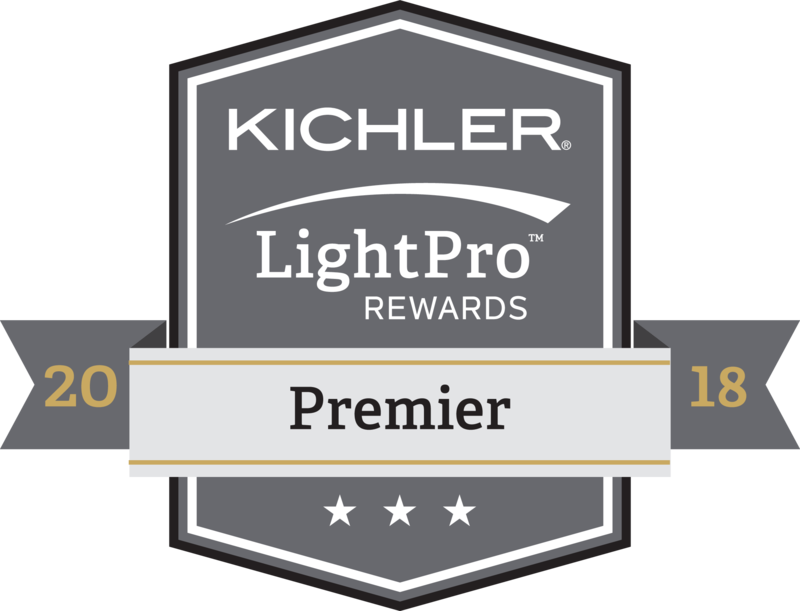 since they are what help create your new property. 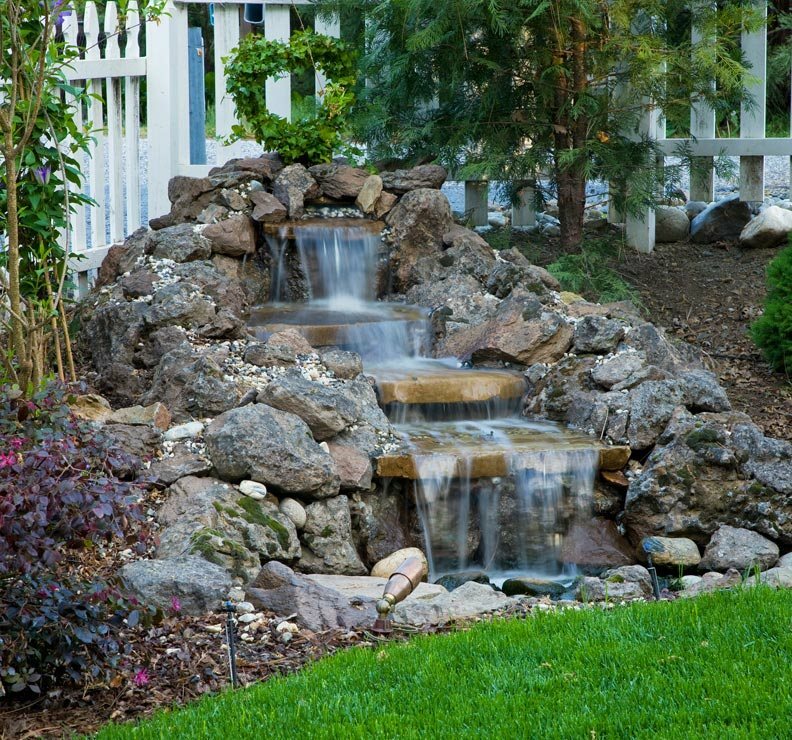 Add a little fresh water to your yard with a waterfall and enjoy the benefits of nature. Water features are one of the best parts of a custom landscape design. There is something natural and calming about the sound of the water, the way it interacts with nature, and how it instantly adds to your landscape. 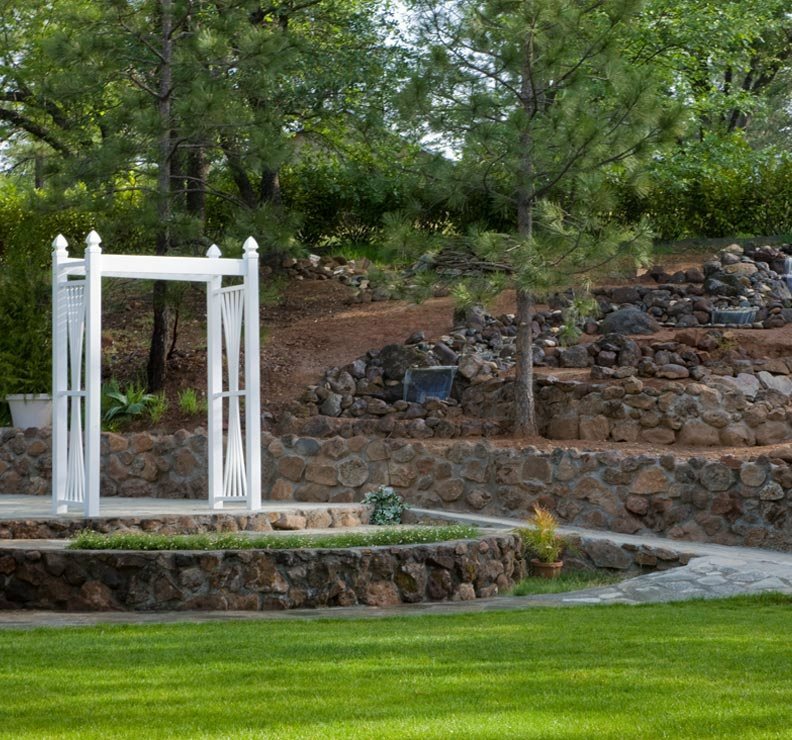 We at Cascade Gardens, feel every landscape should have some kind of water feature, natural waterfall to a birdbath, and we would love to help make that happen. Adding any kind of well­designed and stylish water feature brings a distinct experience to your yard or garden. Water features such as a garden fountain can very easily transform any ordinary landscape into a very relaxing outdoor space and the sound of the trickling water and its movement can be very restorative. In addition to this, if you live in a very busy neighborhood, these water features can be very effective in blocking­out the sound of traffic.